Air quality in Western Washington was reported as "good" on Thursday by the Puget Sound Clean Air Agency, after four days of smoke pollution caused by wildfires burning in and around the state. It took a bit longer to get here than most of us wanted. But here it is: That cool ocean breeze that usually prevents wildfire smoke from blanketing the Puget Sound. 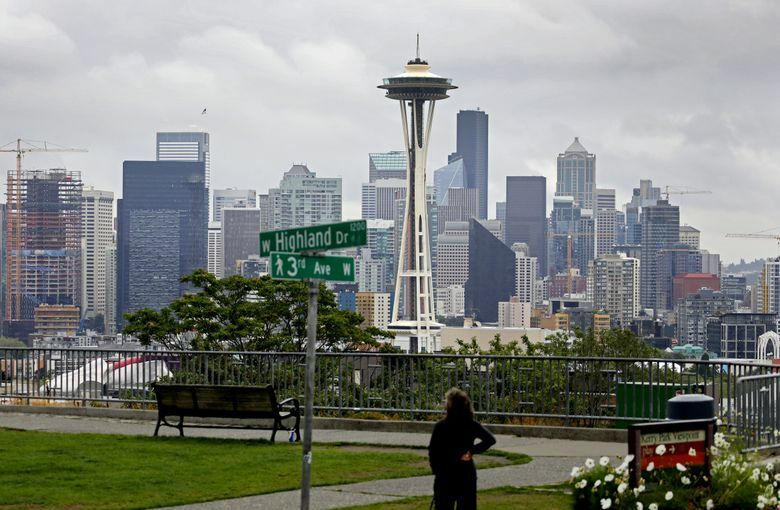 The change started on Wednesday, as the wind direction shifted to a westerly direction, according to the National Weather Service in Seattle. That brought relief for those that have suffered from sore throats and stinging eyes over the past four smoke-filled days. By early Thursday, the weather service was reporting that visibility at Sea-Tac International Airport had increased to five miles from three miles, and joked on Twitter about being able to see “land” in the distance. 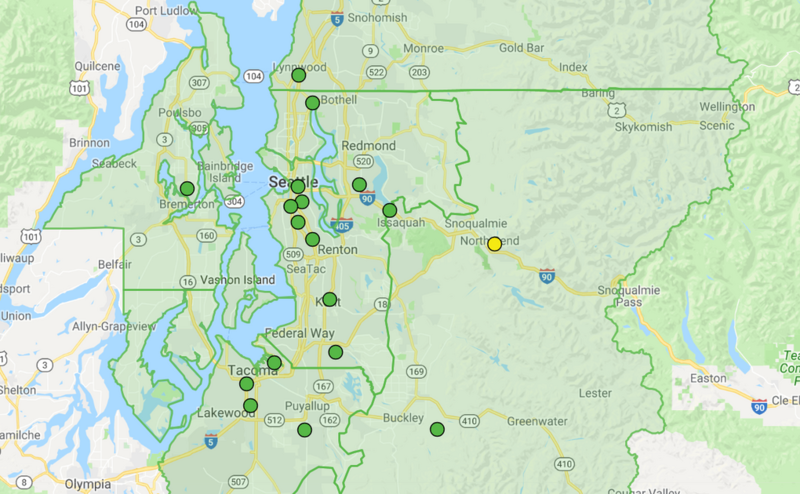 And by Thursday afternoon, the Puget Sound Clean Air Agency indicated that air quality was “good,” which is illustrated by a green indicator at almost every sensor near Seattle and its immediate surrounds. Seattle’s most recent blanket of smoke had been carried in from wildfires burning across thousands of acres in British Columbia, Canada and northcentral Washington on a northeasterly wind, according to the weather service. Previously, it was smoke from fires in eastern Washington and Oregon that enveloped the region. The high temperature at Sea-Tac airport on Thursday tumbled to about 70 degrees, slightly below normal for this time of year, according to the National Weather Service in Seattle. That compares with a record 89 degrees on Wednesday. The weekend is predicted to be overcast with a chance of showers, while temperatures will remain stable around 70 degrees, according to the weather service.